Represent retailer and manufacturer of cosmetics and drugs concerning slack fill allegations by California District Attorneys. Defend clients in District Attorney and Attorney General investigations alleging false or misleading labeling or advertising of cosmetics, over-the-counter drugs, dietary supplements, and homeopathic products. Successfully defended Lush Cosmetics by having the Superior Court sustain a demurrer without leave to amend with regard to Proposition 65, Consumer Legal Remedies Act, and Unfair Business Practice claims. Defense of publishing company against unfair competition and false advertising claims asserted by California District Attorneys relating to alleged negative option subscriptions. Assisted a major manufacturer of lawn and pet care products in a nationwide product-liability class action. Defended a pharmaceuticals manufacturer in two series of product-liability cases pending in several state jurisdictions. Represent foreign companies in federal multi-district litigation relating to the manufacture and sale of allegedly defective drywall. 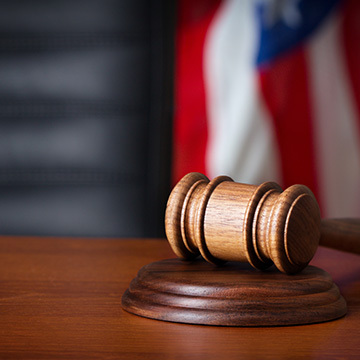 Represent a major chemical manufacturer in state-court asbestos litigation.